Like the title suggests, I shall primarily talk about a particular aspect of a film, technical, creative or adapted; rather than scrutinize and provide an overall perspective or a diluted rundown of plot and acting. Sometimes, but not always you might find an article about cricket or life in Bombay, India, squeezed amongst all the reel talk. In that case, go watch a movie and visit another time. King of Prop! The Piano as a character in movies. As I lay with my leg in a cast on a terribly hot Bombay afternoon circa 1989, my misery fuelled by boredom, mother in all her cheery wisdom slyly brought out an old keyboard synthesizer. I thought I had stashed it away, quite craftily I might add, under a pile of old toys, school books, and the partially inflated inner-tube of a truck. The synth-keyboard, a Casio model, was bright red, ergo very girly. The array of buttons confused me. Worst of all, I was disappointed by the fact that I couldn’t play every known song and masterpiece as soon as I turned it on and smacked those keys. It was false advertising of the worst kind and the thing was disobedient! The “teacher” was a classically trained south Indian musician who ran a paan-shop (a tobacconist) and moonlighted professionally as a keyboard player in an orchestra; at weddings, birthdays, and pretty much every event in India wherein large crowds gather and clamour for live music they request and then manically gyrate to. He then hit a few buttons, cracked his knuckles and lo and behold, the sounds of a piano emerged from the tinny speaker. Okay, he sold me on the piano bit, because the only reason I’d begged and cried for a synth-keyboard was my love for the piano. A grand piano was, and still is, one of the most regal instruments I’ve had to pleasure to see, hear and feel up close. And one of my earliest memories of hearing and seeing classical piano stems from its depiction in something quite unlikely, a Tom & Jerry cartoon. Of course, Bugs Bunny was a mean piano player too. Those classic short animations did a fantastic job of incorporating the piano as part of diegetic sound within the visuals, something that silent era live action films still couldn’t achieve, though they relied heavily on a live or dubbed piano soundtrack to support the visual narrative. It would be seen as a prop in live action, but it would take a few more years to actually hear the on-screen piano in a live action film come to life believably. While animation shorts gave me a taste of western classical piano, my childhood movie staple consisted entirely of good old Hindi films. Now, in a Hindi film and some regional Indian films too, the piano as a prop played quite a few significant roles. 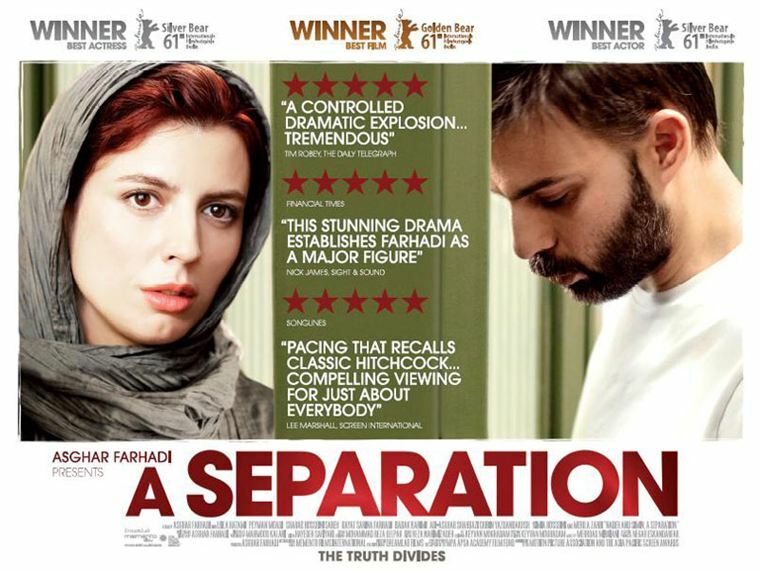 A Dash of Forensics in Domestic Drama : The universality of "A Separation's" screenplay. The IMDB trivia section for the 2012 best foreign language Oscar nominated, "A Separation" offers a few surprising clues towards the film's remarkable appeal to a majority of audiences neither familiar with its language nor its setting. It's shot almost entirely with a handheld camera adding refreshing energy to dramatic action within the frame, quite the opposite of modern Iranian cinema which came to be identified with classical, locked composition shots complimenting the slow pacing. Secondly, it is the first ever film to win three Bears from the Berlin International Film Festival, taking the top honors in acting for both male and female leads and also best film. The most intriguing surprise however, one that made quite a few cinema lovers sit-up and take notice was its Oscar nomination for best original screenplay. I have no doubt that should the film manage the unthinkable and bag the win for best original screenplay it will definitely lead to subsequent focus purely on the writing aspect. Currently though, it is a bit difficult to source details about the actual approach and thought process of writer/director Asghar Farhadi while he was crafting the screenplay. It almost seems a bit downplayed in interviews he's been a part of despite having sneaked into a category dominated by veteran and highly talented screenwriters. "Marriage is a form of relationship between two human beings, unrelated to the period or society in which it is set. And the issue of human relationships is not specific to a given place or culture. It is one of modern society’s most essential and complex concerns. So I feel that the subject of the film makes it accessible to a wider public, beyond geographical, cultural or linguistic frontiers." It's actually not that simple, to me at least. True, the thematic elements have a universal appeal. In fact, quite a few films achieve this every few years but rarely do they achieve the kind of following that has the common public, lovers of cinema and noted film critics go as far as stating this as the best film this year and one of the best films ever, even. Mere thematic elements can't achieve this! It then takes a bit of sifting through what I figure is Mr. Farhadi giving the same tired response to numerous interviewers asking the same question. "We took our time to rehearse, working from a very detailed screenplay, which we followed precisely, to enable each actor to understand the different dimensions of their character. This approach may very well come from my experience with the theater. It doesn’t mean propositions or opinions are forbidden, but we agreed that rehearsals were the only place to discuss. Once we started shooting, we agreed that variations would be minimal." Mr. Farhadi mentions a detailed screenplay which is, followed precisely, and ends that quote by stating variations during shoots would be minimal. A screenplay that tight, that rigidly followed, especially in a feature film, not only speaks about the confidence of a director in his written craft but also about the effort that has gone into getting every nuance and detail absolutely spot on as he's writing it, and then re-writing it umpteen times before he feels it's ready. "Writing. For me nothing is more enjoyable thank thinking about creating a story. Writing is like being in a world where everything belongs to you. You have full power over the characters to create whatever you want." "When you’re writing, you have full control over everything. But when you try to bring that to action, you run into certain constraints. Not everything comes out the way you imagined." "A Separation" is a film that takes the ordinary, casual details in a human relationship within a day-to-day setting and injects conflict in the most wonderfully innovative ways possible, thus making the viewer not a mere spectator but a thoroughly involved spectator. "I don’t want the audience to think they’re watching an “important” scene and to try to remember it as a result. This whole game of making the audience go back and remember these simple little details makes them more engaged in the film." At face value this seems so simple a statement! If you think about his choice of words however, isn't it remarkable that he uses simple innocuous narrative technique but yet connects it brilliantly to something that has either occurred quite a while back in the plot, or something that will successfully resolve a nagging plothole that you anticipate? Which brings me to the fifteen minutes within the film where an extraordinary sequence is triggered by a mere phrase of dialog and is a great example of script-writing quite different for a genre of this sort. Almost an hour and fifteen minutes into a the film, one of the titular characters, Nader returns home with his 11-year old daughter and his geriatric father suffering from Alzheimer's. The setting is the stairwell, the stair landing and the vestibule right outside his apartment's front door. Without giving away any spoilers, let it suffice to say that the script has used this extremely simple location to amazing effect throughout the film and never does it work better than at this particular moment in the narrative. For the next several minutes we have a full-blown investigative enactment played out in extremely precise steps, almost like a police procedural. The fact that it is being conducted by this ordinary character is amazing but even more astounding is the ecstatic rewarding experience I had as the involved viewer. As he goes through the motions I pieced through clues from scenes that had occurred quite a while back and arrived at conclusions that not only added depth to my understanding of the story but created a level of empathy in me for the characters without them having resorted to anything overly dramatic. 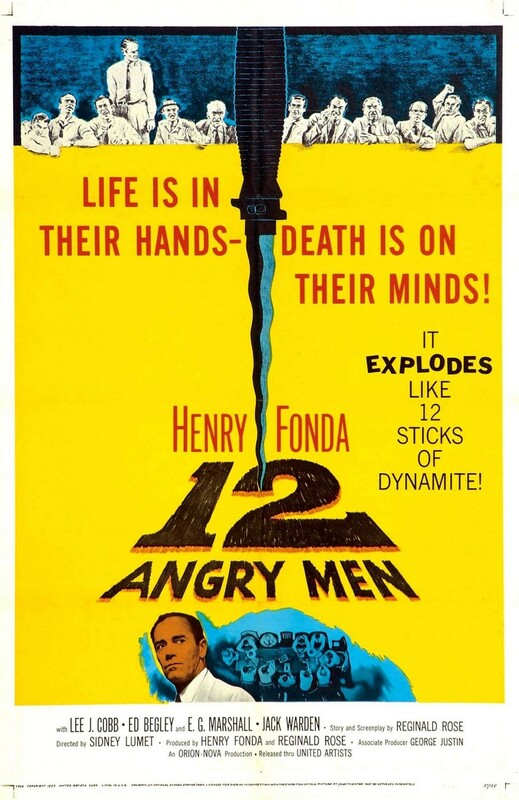 The mastery over such filmmaking is rare to notice or experience and the closest examples would be from the great "12 Angry Men" re-enactment scene, as Henry Fonda arranges the furniture and precisely plays out the entire crime within the confines of the jury room. Or the overall experience of being privy to and being faced with making a judgment call on the morality and actions of all three characters in the sublime "Rashomon"
"A Separation" is painstakingly put-together and like "Rashomon" leaves a lot of responsibility on the viewer's sensibilities towards how they percieve their characters based not only on their actions but also the motivations and morality behind those actions. That it does so without resorting to cliche, stylistic technique or melodrama is testament of its accolades and a meritorious acceptance of the foundation of this film, its stellar screenplay. Looking to a promising future for Mr. Farhadi, one can at least hope that at the Oscars when its name is read out as one of the nominations before the winner is declared, the elaborate title "A Separation of Simin and Nader" is what I hear as consolation for that bit of title writing, which reads so much better than just those two words. Fifteen Minutes?! More like fifteen years! If that's what most of you think when you arrive at my blog, you wouldn't be wrong. Procrastination is the root cause of all bubble-wrap sales spiking the world over. Writing non-fiction is not something I've attempted on a large scale before. The notion of keeping my writing voice intact while attempting an endeavor that calls out for being semi-pedantic as far as exploring the intricacies of a medium (cinema in this case) are concerned, creates an aura of self-doubt and an equal toll on how it might affect my alter writing which till date was a pleasurable and rewarding experience. Borne by a career shaping series of events the whole of last year, I eventually had the proverbial rug pulled out from under my feet, was rolled up in it, and then stuffed in a trunk that trundled away on a horse-buggy without a driver. I got my first taste of what it takes to write a bona-fide, feature-length for a studio. I haven't attempted any screenplay writing since November. Characters stroll into the bar in my brain and coax me to have fun with them, tell their stories, request me to be their designated driver as they've had a bit too much to drink...I tell them it's closing time. None of my earlier remedies for getting out of a creative rut work. Short trips, time-off from script reads, video-games, wood-work, cooking, video editing and photography haven't cleared this venomous cobweb yet. The only prescription I hadn't tried arrived in the form of an e-mail reminding me that my website domain was up for renewal. My blog, which would let me savor passionate discussions with fellow lovers of cinema had a layer of empty promise molding away like the leotard of a talented ballerina who discovered the cake shop for the first time in her life. Some writers have a way with words in non-fiction that makes the reader wish that they'd have that same minty fresh breath after having digested a garlic pizza. Other writers can make an insipid real tale into an intrepid event you are certainly convinced to have lived through yourself. Me? I chew up my fact-fiction like bubble-gum. I stretch it and string it and finally blow it up into a bubble that pops loudly and evokes laughter in people most of the time. I'll write this blog to figure out if I can elicit other emotions from readers via non-fiction. I have friends. Lovely, amazing friends! Friends who support my talent and who are talented beyond belief in their respective niche of choice. They would love for me to get back to writing, so I do this for them. I also know there's a horse-buggy trundling to nowhere, carrying a trunk with a rolled up carpet inside. I shall do this for that guy inside that rolled up carpet to pop out of that trunk and rein that horse. Today I let my fear speak, from tomorrow it's passion's turn. A Phoenix is over-rated clichè! But some writing must re-surrect to fulfil promises owed to oneself eons ago. Here's looking at a a resurgence. Now to find something to toast with. Fifteen minutes, and then some! Okay, I'll confess. The New Year actually caught up to me, stuck it's tongue out and passed me, while I was writing a flat year's end article for the blog. It also doesn't befit the title of a blog that promises to deliver film knowledge in brevity, to be tardy in executing such promises. Rest assured my new readers and the lone rodent manning the hamster wheel in my head, I'm actually working on a few ideas to go about this process of delivering content, that might set it apart from similar veins of thought pondered upon by individuals more adept at this, than I am. All I ask is a tiny bit of patience and wish you a peaceful and auspicious New Year. The Indian Screenwriters Conference 2008. The weekend of December 13th and 14th I was an active participant at the second Indian Screenwriters Conference. To be honest, I finally came face to face with an Indian screenwriter and know that he/she isn't a rare species, caged by a "ringmaster" producer in a sweatshop, but is a rather astute and intelligent person who finally wants his/her due and is happy to be recognised for his/her writing and writing only. Sure, there were celebrities, celebrity writers and press hounds, but for the fledgling screen-writer of hindi cinema, and I'm one too, it is very heartening to finally realise the support of an entire community who for the first time in fifty years have finalised a healthy, brilliant and extremely encouraging contract, which might see the light of day. I'll have more on the event in the coming days. In the meantime, my readers might realise the change in my blog format and style. I switched over to a better blog host, rather than my web host and hopefully will make this a comfortable nest for future talks with my visitors. As always, I look forward to comments and suggestions.